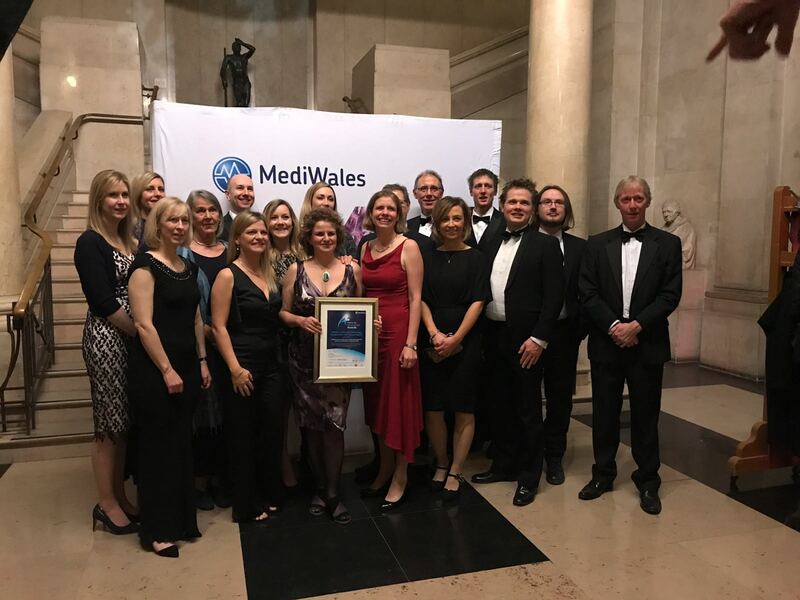 Obstetric Bleeding Strategy for Wales (OBS) Cymru recently won the Efficiency through Technology Programme – High Impact Award at the MediWales awards. Founded in 1992, MediWales is the life science network and representative body for Wales. MediWales provides advice, support and business opportunities for members, whilst promoting collaboration within the life science and health technology community in Wales. OBS Cymru is an all-Wales collaborative quality improvement project to reduce harm from postpartum haemorrhage. The project is was originally funded by Welsh Government via an Efficiency Through Technology Fund; and has received support and further funding from 1000 Lives Improvement, in collaboration with all seven health boards, the Maternity Network Wales, the Wales Deanery, the Bevan Commission and Werfen (Industry Partner). The project was based on lessons learnt whilst undertaking research into postpartum haemorrhage in Cardiff (supported by Health and Care Research Wales, Cardiff and Vale University Health Board (UHB) and Cardiff University). Following the launch of the project in November 2016, four pillars of care have been rolled out across Wales. These include: routine risk assessment, early identification of abnormal blood loss and routine measurement, appropriate multidisciplinary team working and point of care guided blood product administration. The project is multidisciplinary and has reached out to all maternity settings in Wales. Every unit has a champion team consisting of a midwife, obstetrician, anaesthetists and haematologist who have led local change, supported by the national team. Sarah Bell, Consultant in Anaesthetics at Cardiff and Vale UHB said: “We have undertaken two process audit cycles of measurement of blood loss. “This data indicates that this has increased from around 50% to 80% of deliveries across all consultant-led delivery suites. “This is a substantial improvement and an early success for the project showing that the project has already changed the early team behaviour and management of post-partum haemorrhage. “A national staff survey also revealed 87% of staff felt that OBS Cymru had changed their individual unit’s management of postpartum haemorrhage.